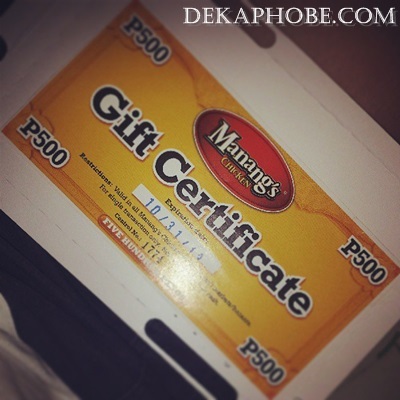 [i am a dekaphobic]: The Winner of 2nd Anniversary Giveaway #1: Manang's Chicken! Kindly wait for my email on how to claim your prize. :) Giveaway #2 is still on-going.